pdates. The L shaped full LED tail lamps at the rear has increased in length compared to its predecessor. 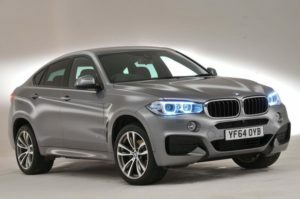 The duel exhaust at the rear of the vehicle also looks new and the second generation BMW X6 comes with underbody protection which is made up of Brushed steel and it helps enhances the muscular appeal of the SUV.